What Are the Dangers of Garbage Disposals? 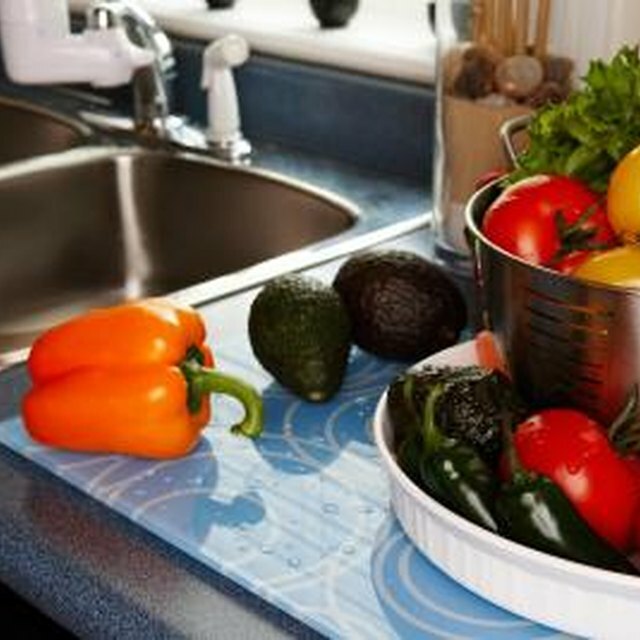 In the modern home, people use their kitchen garbage disposal to get rid of small food items. This is convenient, as it reduces the amount of organic waste sitting in the kitchen trash. However, garbage disposals are not risk-free. Because all garbage disposals operate in basically the same way, the dangers of garbage disposals apply to all models. Homeowners can minimize these dangers through simple precautions. Garbage disposals are found in most modern kitchen sinks. Garbage disposals are designed to operate in the presence of running water. Even so, they still require electricity. Additionally, all garbage disposals produce some vibration as they work. Over time, this can cause the electrical connections to become worn and unstable, increasing the risk of electrical shock. As with any appliance with a motor, the risk of shock also increases when the disposal motor is taxed and starts to burn out. This is a common problem when fibrous foods like peelings are put into the disposal repeatedly. Electrical shock is an issue when replacing and installing disposals, as well. Air switches are available that control the disposal's electrical circuit with puffs of air. These switches may reduce some of the risk of shock during normal operation. Homeowners should check the connections on their disposal occasionally and replace disposals with worn motors. Disposals shouldn't be operated or worked on with wet hands. According to Marjorie Dorfman of House Not So Beautiful, garbage disposals increase the amount of organic waste that people flush into septic systems. Septic systems eventually can get overloaded because of this additional matter. When this happens, water from the septic system can back up on lawns or inside plumbing. The result is that septic water laden with bacteria is in more direct contact with the homeowner. An overloaded septic system also can put high levels of bacteria into the ground water table. The problem can be avoided by limiting the amount of food put down the disposal and having septic systems checked regularly. The blades on garbage disposals do not discriminate when it comes to cutting. They don't know the difference between a finger and a food scrap. People can easily cut themselves on the blades of a garbage disposal if they reach inside to retrieve an item - -for example, a ring -- or dislodge stuck food. Children are at an especially high risk for lacerations from disposals because they don't always know how to control the appliance or perceive the danger of the blades. Guards that fit over the disposal opening can keep items out of the disposal and reduce the chance or need of reaching into the drain. House Not So Beautiful: The Garbage Disposal: What Else Can It Do?